January 29- May 20th 2019. 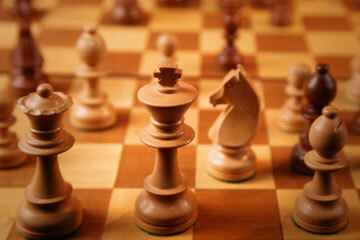 Join us for the continuation of the wonderful chess program jointly run between ACFS and Coach Ed Kestler. The first semester of this program was very successful: Dozen new students joined not only the club but also dipped their toes at the competitive aspect of chess- joining the team at the League Matches, State Championship Qualifiers and the 2019 AZ State Grades. The price / duration will be unchanged from the 2018 session and the registration can be easily completed online at events4chess.com in addition to registering through the school or the coach.There will be a limit of 20 students per class unfortunately so please register early. On a slightly different note, the program could greatly benefit from continuous support from SSA parents and alumni, so anyone interested in helping the club to expand and participate at future events, please lets us know by contacting us at LALTOUNIAN@MSN.COM / 520 891 3632.